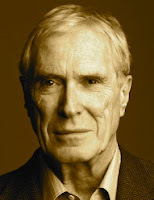 A Year of Being Here: Mark Strand: "For Jessica, My Daughter"
"For Jessica, My Daughter" by Mark Strand. Text as published in Collected Poems (Knopf, 2014). 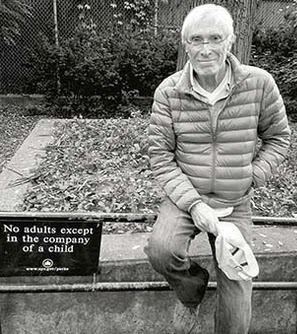 Curator's note: Mark Strand, one of our mindfulness poets and one-time Poet Laureate of the U.S., died on Saturday at the age of 80. He died in his daughter Jessica's home not long after entering hospice care, suffering from liposarcoma. Here are two quotes for us to remember him by. First, "The future is always beginning now." And, "Ink runs from the corners of my mouth. / There is no happiness like mine. / I have been eating poetry." Art credit: Detail from photograph of Mark Strand by Ezequiel Zaidenwerg.